The ship was originally build on the dream of sailing it through the Russian rivers to the Black Sea, onwards through the Mediterranean, and back home to Denmark via the Atlantic. It turned out to be significantly more difficult to get the necessary permissions to sail through the then still existing Soviet Union, though, and the plan was never attempted. The ship, however, has visited many other places. 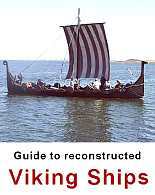 It regularly features in various Viking events in Denmark and abroad. The ship is a regular visitor at the Viking fair of Schleswig, and has taken part in events in Norway, Poland and Iceland. 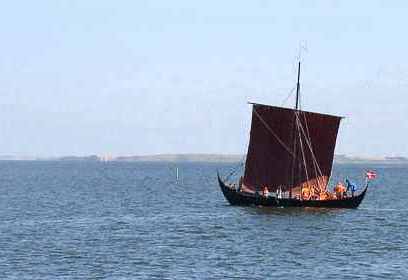 Terms of hiring: Not available, sailing only with members of the guild, although the ship does take part in Viking Fairs etc.